Feel free to make use of our contact information below to reach out to us. We try to respond to all messages as soon as possible and we are always happy to discuss your storage needs. Call us to make an appointment, and we would be happy to take you on a tour of our clean, professionally maintained facility. There’s always something to see or do around Storage Cresson! Our location is nearby to Lake Granbury, Motorsport Ranch, Drive Xotic, Revolver Brewery, Narrow Escape Granbury, Granbury Opera House and Showbiz Cinemas. We proudly serve the areas of Cresson, Granbury, Benbrook, Crowley, Burleson. 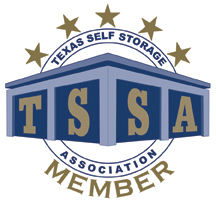 Get in touch today for the best storage options in the greater Cresson area!